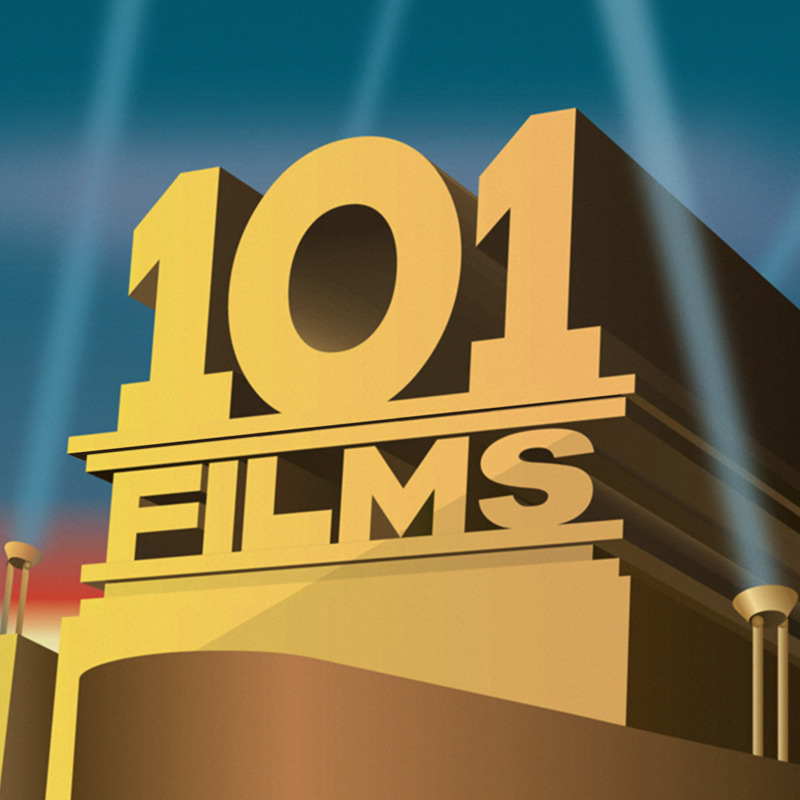 With the addition of School for Scoundrels to our illustrious list, Robert Hamer becomes the first director to have two of his films inaugerated into the 101 Films Hall of Fame (following our singing praise of Kind Hearts And Coronets last summer). There we were, thinking that one of the big guns would take the prize – your Coppola, your Scorsese, your Lynch, your Allen – but then along comes plucky Hamer out of nowhere to steal the crown from under the big boys’ noses. Well done that man! School for Scoundrels is one of Ian’s recommendations, and provides further evidence of his worrying obsession with Alistair Sim. To be fair though, Sim is absolutely superb in this film, and our only criticism of his performance is that there’s not enough of it – he only pops up in a few key scenes, but he steals the show whenever he appears, and he even breaks the fourth wall to speak directly into our admiring faces right at the end. They really don’t make actors like Sim nowadays. It’s truly a masterclass in raffishness. From my point of view, the one blot on this otherwise fantastic (and fantastically funny) film is its slightly old-school attitude towards women, which here seem to be little less than trophies to be won. We argued a little about this point in the podcast, and it’s easy to dismiss this as just an echo of a bygone age, but I’d be interested to hear what any of our female listeners think about the portrayal of women in this film. 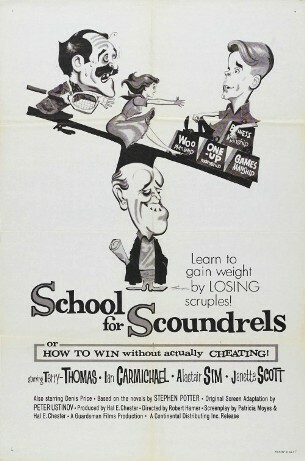 Having said that though, School for Scoundrels is a real hidden gem and a must-see for any fans of comedy, particularly if you’re a devotee of Ealing Studios’ output (although this was actually filmed at Elstree Studios Borehamwood, which recently played host to the Big Brother house – lord knows what Alistair Sim would have made of that). Last but not least, our Secret Sponsor for this week is @OnThisSciFiDay. Thanks! Great suggestions – we’ve both seen Usual Suspects and Shawshank Redemption, but we’ll add the others to the list.